EphBlog loves new Williams Provost Dukes Love. Why? Recall our recurrent complaints about transparency with regard to already published College documents, like the Common Data Set reports. Formerly, Williams only provided the reports back to 2011. Now, it provides an archive back to 1998. Well done Provost Love! But because this era of Perestroika might end, EphBlog has taken the precaution of saving permanent copies: cds_2010-11, cds_2009-10, cds_2008-09, cds_2007-08, cds_2005-06, cds_2006-07, cds_2004-05, cds_2003-04, cds_2002-03, cds_2001-02, cds_2000-01, cds_1999-00 and cds_1998-99. It is especially nice to see a provost committed to transparency as Williams begins the re-accreditation process. Long time readers will recall that we devoted the month of January 2009 to going through the last re-accredidation report. Alas, we did not save a copy! Is one available somewhere? UPDATE: A loyal reader points to this archive of material related to accreditation. Thanks! And kudos to Williams for making this material available even a decade later. Anyone interested in following this round of accreditation should study the last round closely. partial test scores. SAt scores are recentered. By the way, does anyone know how to get time series data out of IPEDS? 1) I apologize that this is such a mish-mash. 2) It is not clear how comparable these numbers are over time. First, the rise of score choice and/or super scoring has made it easier (and more common) for students to take a test multiple times and only report the best results. Second, students are now more likely to take both the SAT and the ACT and either only report one. 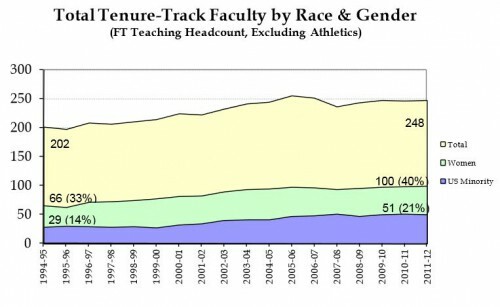 (Or, they report both and the College only uses the better in its own reporting.) But ignore those complications for now. 3) Scores have increased meaningfully over the last 15 years. But, given 2), I can’t say whether or not this is because the students have gotten smarter. Opinions from readers? The most frequently given grade in 1999 was an A- and the mean grade hovered just above a B+ at 3.34. If the average grade since 2000 has only increased from 3.34 to 3.41 then grade inflation, while still a problem, has at least slowed down significantly. The overall average in 2008–2009 was 3.39. Again, the thing I find most embarrassing (and what we need current data about) is the hundreds of A+ grades handed out. 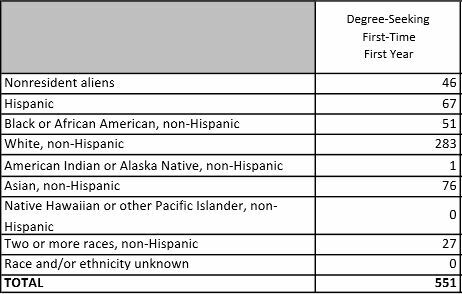 3) The results by Division are consistent with the standard stereotypes. The most distressing aspect of the differences across Divisions (and across departments) is the bad signals that it sends to students. If a student gets a B+ in an intro Computer Science class but an A in Theatre, she might thing that this means she is “better” at theatre than computer science. Isn’t this one way that Williams guides her on choosing a major that matches her abilities? But, of course, the College is lying to her. She is an average student in computer science and in theatre. Lax grading by the latter is misleading her. There is much more here. Worth a week to discuss? 1) Graphs in Excel give me a headache! Please use R, like all the cool kids in the Williams statistics major. 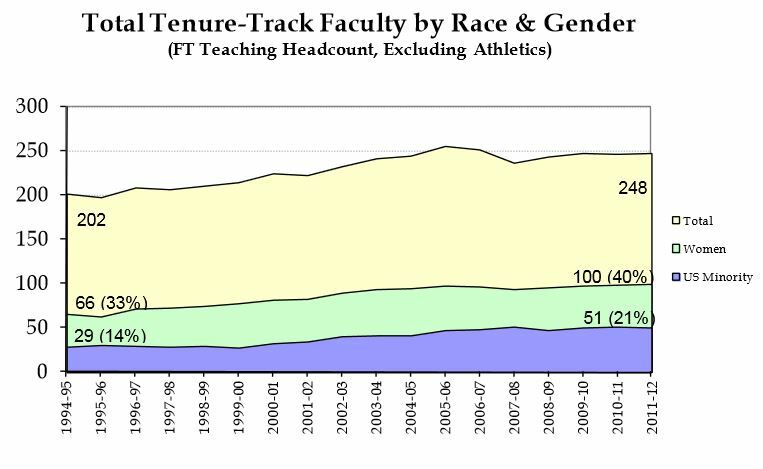 2) I think that “US Minority” includes Asian Americans who are, of course, significantly over-represented among Ph.D. recipients and, I think, on the Williams faculty. Some of those folks have left. Others have joined. What is the current count? The College can not be trusted to maintain public copies of the reports it has made public in the past. So, the responsibility falls to EphBlog. You are welcome, future historians! Below are the most important reports regarding the failed implementation of Neighborhood Housing. There were two interim reports (part I and II) and two final reports (part I and II). The reports were written by the Neighborhood Review Committee in 2009-2010. We provided extensive discussion back in the day. Perhaps the part that is most relevant is the discussion of sophomore housing. Read the whole thing. As best I can tell, the Committee was pro-sophomore housing but with a non-trivial minority against. Yet the central flaw of the Report in this regard was its complete failure to describe and analyze the history of sophomore housing at Williams, at least since 1990. (Useful references here and here.) Short version: Sophomores decided, on their own, that they wanted to live together in Mission. A large majority of sophomores preferred living in housing that was 90% sophomores. They achieved this goal in the early 1990s by trading their picks. Free agency arrived in 1994 and made the process more simple/fair/transparent. As true today as it was five years ago. The College only took a decade to realize that we were right about neighborhood housing. We knew it would be a failure and it was. How long until they come to see the benefits of sophomore housing and other changes? 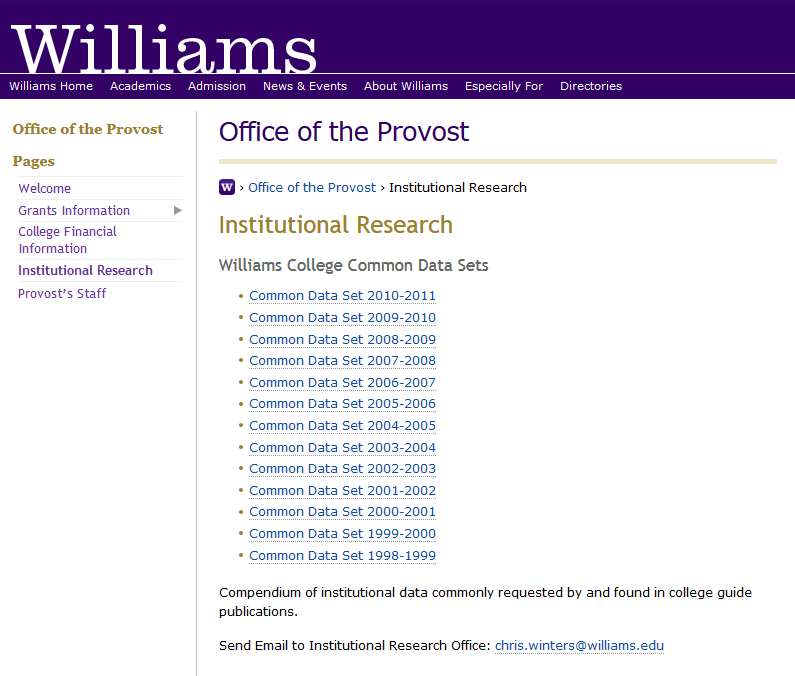 The College used to make its entire history of Common Data Sets available. Now it doesn’t. Am I the only person who finds this behavior pathetic? Honor and Discipline Report 2007-08 and Honor and Disc Report 2008-09. A Senior was accused of submitting a paper that included sections of another students’ work as part of a group project. The student admitted to the charge and described particular pressures associated with the assignment that clouded their judgment. The Committee found the student guilty and imposed failure in the course and Disciplinary Probation until graduation. All hail the Honor and Discipline Committee! They take their job seriously and meet out serious punishment. Although grade inflation has been out of control at Williams for decades, my sense (contrary opinions welcome!) is that the punishment for, say, plagiarism is just as serious now as it was in the 1950s. President Obama on Saturday abandoned his two-year effort to have the government create a system that explicitly rates the quality of the nation’s colleges and universities, a plan that was bitterly opposed by presidents at many of those institutions. There is no reason why the Federal Government needs to rate universities. Why would anyone think that the Feds would be particularly good at such an exercise? But only the Feds could have made the student loan and income data so readily available. With that info public, we can watch a thousand ratings systems bloom. Perhaps some of our data jocks could tell us how Williams stacks up . . .
And, as usual, President Falk agrees with EphBlog! The Eph Brigade of the Vast Right Wing Conspiracy is pleased to see Falk in agreement with Ken Starr . 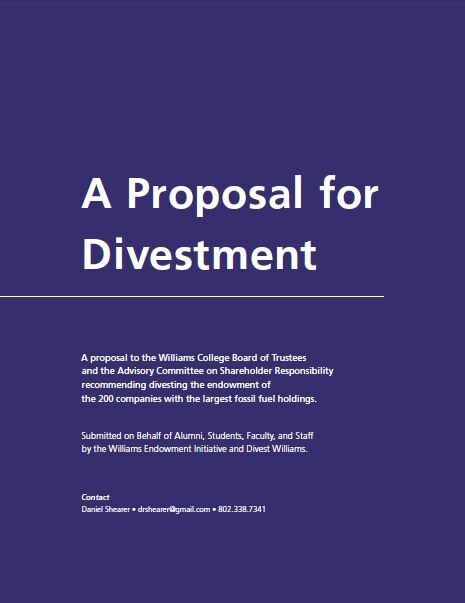 . .
Divestment, of any kind, is a bad idea because we should not mix investment policy with political views, lest it generate endless rancor. Why these companies and not others? Investing in a company with oil fields is evil but investing in a company which makes oil rigs is not? Gas companies are verbotten but gun companies are OK? What about companies that do business in Darfur? What about companies pillaging the rain forest? What about private equity firms who make money by buying companies in trouble, laying off thousands of workers, and then reselling them? And on and on and on. The best way to avoid this trap is not to play. Leave the investment decisions to the investment professionals. EphBlog is powered by WordPress and delivered to you in 2.040 seconds using 54 queries..